Many modern Westerners tend to be leery of the possibility of an afterlife, even of the existence of a soul. In a Post-Enlightenment age, we are surrounded by science, technology, evidence and proofs. Climate change denial notwithstanding, we tend to believe only what we can observe with our five senses. The physical is real; the spiritual, supernatural or inexplicable tends to be viewed, among some at any rate, as myth, fantasy, or unsubstantiated belief. However, there are phenomena in the world that defy easy dismissal; some of these phenomena seem to bridge the gap between science and belief/faith. The visionaries of Medjugorje and their experiences belong in this category. Since 1981, in the village of Medjugorje in Bosnia-Herzegovina (former Communist Yugoslavia), appearances of the Virgin Mary, mother of Jesus, have been attested, and the witnesses testify that she offers loving messages to the world. Is it possible that these visions can be examined scientifically? Can the visionaries be so examined? The answer is yes, and the results are well worth pondering. It is at this point that they would enter the first phase of the ecstasy, with their lips moving but no sound coming out. Suddenly, they simultaneously continued with the Lord’s Prayer at “who art in heaven,” since the Virgin has already started the prayer with “Our Father.” After the Lord’s Prayer, the visionaries recited the Glory Be along with the Virgin (as reported by them later). In the third phase, their “voices disappear again for a second period of contemplation or conversation,” followed by the simultaneous raising of the eyes and heads, bringing the experience to a close (Laurentin and Joyeux, 6-8, 16-17). The visions lasted between 62 and 102 seconds (Laurentin and Joyeux, 50). The visionaries reported that they were speaking to a real person, not a vision or image (Laurentin and Joyeux, passim). Testing on the visionaries began almost immediately following the initial accounts of the visions. In fact, it was the police of the municipality of Citluk, where the chapel is located, that required medical examinations: they wanted to know if the experiences were normal or pathological, in order to protect the public. Tests carried out in June 1981 determined that the visionaries were normal. An examination by a doctor of social psychology, Slavko Barbaric, in 1982, excluded the hypothesis of hallucination. A psychiatrist and parapsychologist, a Dr. Stopar, visited the visionaries four times at Medjugorje – five-to-ten-day visits twice in 1982 and twice in 1983 – concluded the tests administered to the young people showed “no psycho-pathological indications” (Laurentin and Joyeux, 11-13). A number of Italian doctors examined the visionaries in 1984. Dr. Maria Frederica Magatti stated that she “can deduce the absolute neurological normality of the visionaries in spite of the suspension of their consciousness of relationship with the exterior world.” Dr. Magatti believed that the young people were experiencing ecstasy, in that they are completely insensitive to physical stimulation while communicating with the apparition (Laurentin and Joyeux, 13-14). Also in 1984, Dr. Lucia Capello of Mostar observed all of the visionaries at least once and several of them three times. A number of tests were conducted, and the results indicated “no agitation, either psychic or of the motor function” or “of psychic conditioning.” Further, there was no frustration or “any ulterior motive on the part of the visionaries” (Laurentin and Joyeux, 14). A neuro-psychiatrist, Dr. Enzo Gabrici, examined four of the visionaries in April 1984 and observed them during the appearance of the apparition. He noted that they are completely normal people, they are not behaving as if under hypnosis, they do not tire after having a vision (as might happen if the person were experiencing a hysterical trance), there is no alteration of consciousness, and there are no signs of epilepsy (Laurentin and Joyeux, 16-17). It was during some of these tests that Monsignor René Laurentin and Dr. Henri Joyeux first met and began planning their own extensive tests. As the other examiners believed, these investigators set out to learn, as scientifically as possible, what precisely was going on during the visions, what was happening physiologically, medically and in many other ways to the young people, what effects the visions might have on the visionaries’ lives and those of their friends and families, what might the relationship be with things spiritual and religious, whether there were any potential dangers to the community from the visions, and how the religious community might wish to respond to them. Laurentin and Joyeux’s team was comprised of graduates of the faculty of medicine at the University of Montpellier, France, including a cancer surgeon; a professional in ophthalmology; an ear, nose and throat physician; an assistant clinic head in cardiology; and a member of the Yugoslav Society of Neurophysiology. Also included was an electrical engineer, the technical expert (Laurentin and Joyeux, 48-49). The tests conducted on the visionaries included electro-encephalograms, electrocardiograms, and eye, touch, vocal and hearing tests. The tests were conducted prior to the appearance of the Virgin, during the appearance, and immediately afterwards. Ivan, 19, had no reaction when inflicted without warning with a noise of 90 decibels during the ecstasy (90 decibels being equivalent to a combustion engine at high revolution), even though he had previously jumped at a noise of 70 decibels before the ecstasy. Following the 90-decibel experiment, he reported hearing nothing (Laurentin and Joyeux, 26). When an object was placed in front of 18-year-old Ivanka’s open eyes during the ecstasy, she showed no reaction. Electro-encephalograms administered to Marija and Ivanka “confirmed that there was no cerebral anomaly and . . . no pathological symptoms.” The test “also excludes sleep, dream and epilepsy” (Laurentin and Joyeux, 23-24). Eye tests indicated a normal state of the inner eye and normal contraction of the pupil in the presence of light (Laurentin and Joyeux, 24). All reports, including those of physicians and scientists who studied the youths on other occasions in the mid-1980s, demonstrate that the visionaries are normal and well-balanced people. According to Dr. Lucia Capello, “They appeared to be discreet, well-mannered, careful in their dress and in their speech and absolutely mindful of the surroundings in which they found themselves” (Lauretin and Joyeux, 14). Their experiences leave them joyful, calm and at peace. Examiners routinely conclude that there are no clinical signs of individual or collective hallucination; no individual or collective hysteria; no neurosis; and no catalepsy. The experience is not a pathological ecstasy (Lauretin and Joyeux, 53-54), nor is there any element of deceit. 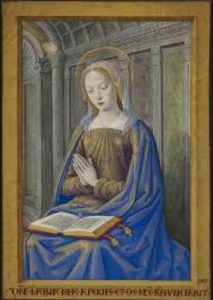 Rather, “We would be quite willing to define [the phenomenon] as a state of active, intense prayer, partially disconnected from the outside world, a state of contemplation with a separate person whom they alone can see, hear and touch” (Lauretin and Joyeux, 75). What takes place at Medjugorje to the visionaries is one thing. But one can also pose the “so what” question: what do the visions matter overall? What does it matter that the Virgin Mary speaks to a few individuals? This question leads to the many claims of cures that have taken place in conjunction with the visions. Lauretin and Joyeux are cautious in their assessment but document a number of physical cures experienced by pilgrims to the site that cannot be explained in any way except by someone paranormal or miraculous (98-105). Testimonies of other cures continue. Besides visions and cures, what has happened vis-à-vis Medjugorje and the visionaries in the intervening years? First, the visions continue. The site has become one of the most popular Catholic pilgrimage sites in the world – the third most important apparition site in Europe; over a million people visit annually. 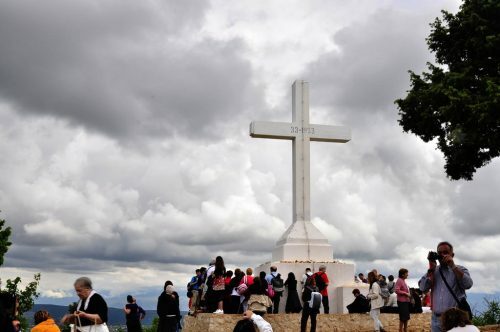 Perhaps as many as 30 million pilgrims have come to Medjugorje since 1981. Second, the Vatican has always had an intense interest (not always positive) in the phenomena. Pope Benedict XVI established a commission in 2010 to study them, which “reported on 18 January 2014 to have completed its work.” The commission was headed by Cardinal Camillo Ruini and communicated the results to the Congregation for the Doctrine of the Faith. 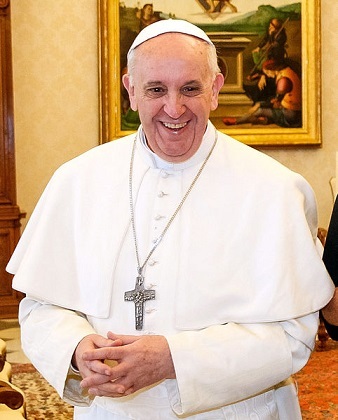 Pope Francis commented positively on the report in May 2017 when speaking to journalists. “According to Italian media, the Ruini report divided the investigation into three main parts: the early apparitions from 24 June 1981 to 3 July 1981, the acclaimed apparitions thereafter, and the pastoral situation. The commission expressed positive findings in favor of recognizing the supernatural nature of the first appearances, and rejected the hypothesis of a demonic origin of the apparitions. Yet, the commission expressed that an opinion cannot be reached towards the acclaimed apparitions thereafter, despite majority of the commission recognized the positive spiritual fruits that Medjugorje has brought to pilgrims, including Pope Francis who commented the pastoral situation in Medjugorje: ‘The third, the core of the Ruini report, the spiritual fact, the pastoral fact. People go there and convert. People who encounter God, change their lives…but this…there is no magic wand there. And this spiritual and pastoral fact can’t be ignored.’ On 11 February 2017, Pope Francis appointed Archbishop Henryk Hoser, S.A.C., the Bishop of Warszawa-Praga, as a Special Envoy of the Holy See to Medjugorje to particularly evaluate the pastoral fact of Medjugorje, and Hoser [was] expected to submit his report to Pope Francis by the end of summer 2017. While science cannot explain precisely what is happening to these young people (at least one of whom, Ivan Dragicevic, travels the world decades later spreading the loving messages he receives), or to those who claim to have been cured by their pilgrimage to the site, scientific experiments of all kinds – controlled and witnessed by many – verify that something extraordinary of a positive, beneficent nature does take place. It is vital that we science-minded, Post-Enlightenment Westerners keep an open mind about such phenomena. Abrahamsen, Valerie A. Paranormal: A New Testament Scholar Looks at the Afterlife. Self-published 2015; printed by Shires Press, Manchester Center, Vermont. Laurentin, René and Henri Joyeux. Scientific and Medical Studies on the Apparitions at Medjugorje. Dublin: Veritas Publications, 1987.